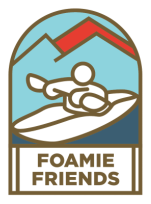 At Foamie Friends we hand craft self-righting foamie kayaks and canoes. We have Foamies in stock for immediate purchase by clicking the "Shop Foamies" tab. If you want to put your own personal touches on your foamie and assemble one your self we make kits for that too! We even make custom foamies that are crafted to look just like your favorite kayaker. 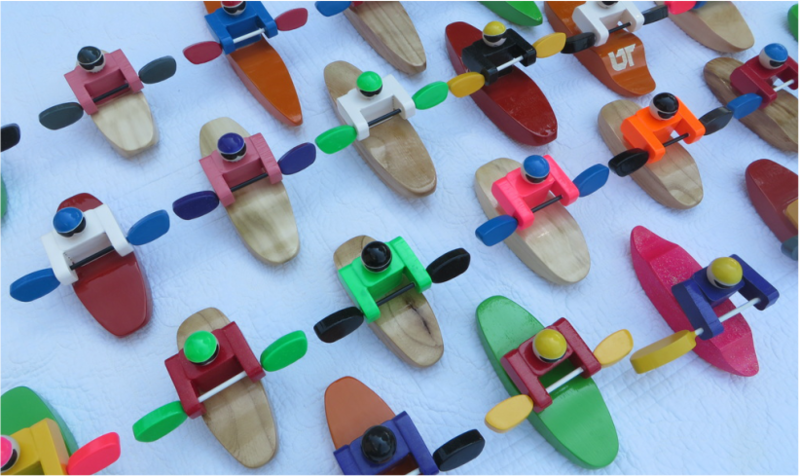 You can even request to personalize one of our in stock foamies for a unique handcrafted gift, and custom boats can be made to whatever hull shape you want. Foamies so much fun in the tub and pool for little ones! Each one rolls back up when your child flips them over. For older kids they are a great tool to play with in small creeks and to learn about hydrology while also enjoying the outdoors. Great aide for teaching new boaters about whitewater safety and hydrology, and lots of fun for adults as well. Let out your inner child! I guarantee you'll learn something as you play. Our foamies are hand crafted and painted right here in Knoxville, Tennessee USA! We source our wood locally or harvest it ourselves, and opt to use paints and finishes that are domestically made. Our foam is made and water jetted right to our specifications right here in the USA, and all of our fiberglass rods are also sourced domestically. While we haven't been able to find any domestic supply of the foam balls I use for heads, tooth picks, or foam I use for life jackets, our foamies are 100% produced in the USA from mostly domestically made materials. ​" Get those electronic gadgets out of your kids hands and get them out playing in the river! "